Three million people have visited the summit of New Hampshire’s Mount Washington, the highest peak in the northeastern United States. 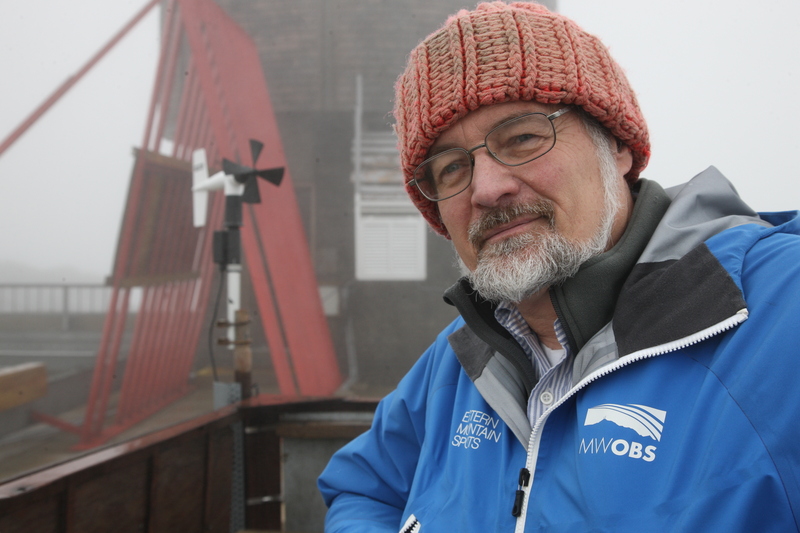 But few have made the trek more times than Ken Rancourt (’72 meteorology), director of summit operations emeritus for the Mount Washington Observatory. Ken has worked at the observatory since 1979 and estimates he’s made the 7.6-mile trip up the precarious Mount Washington Auto Road more than 3,000 times. In the summer, the drive takes a leisurely 30 minutes. In winter, it can take several hours in a snow cat, driving on top of up to 20 feet of snow. It’s been said to be the world’s worst commute up a mountain that’s famous for having the worst recorded weather on the planet, but to an outsider surrounded by an ever-changing landscape and a view from the summit that on a good day spans 130 miles, it seems more like the world’s coolest commute. This job is all for the love of weather: The 8-day shifts, the round-the-clock weather observations, the incredibly brutal conditions (in 1934, observers on Mount Washington measured a wind gust of 231 mph, the highest wind speed ever recorded by man). The observatory is staffed 24 hours a day, 365 days a year. In addition to documenting the weather, the staff conducts experiments and tests products – such as anti-icing coatings for airplane wings and tents built to withstand high winds. Ken said he found that life at the observatory fit his skill set. Ken stepped down as director of operations in October 2012, taking on the “emeritus” title. But he will continue to be involved, primarily with the Eastern Snow Conference, an organization that focuses on the study of snow and snow technologies.